Assess motor strength; presence of spasticity of flaccidity. Assess for presence of contracture. Assess skin daily, especially those areas susceptible to breakdown. Potential for injury related to impaired physical mobility. Knowledge deficit regarding prevention of injury while promoting mobility and self-care. Promotion of activity and exercise. Encourage continuation of daily routines and activities. Maintain exercise program to tone and strengthen unaffected muscle groups without fatiguing affected muscles. Range-of-Motion (ROM) exercises to prevent contracture and pain in joints; first Active ROM, then passive. Refer to physical therapist for exercise program and see recommended passive range of motion description in Managing ALS (MALS) Manual II. When weakness in the extremities begins to compromise mobility, safety, or independence in ADL, refer to a physical or occupational therapist. prominences, and provide an eggshell or circulating mattress when immobility prevents independent repositioning. Repositioning in the wheelchair based on the patient’s skin tolerance. Use of a wheelchair cushion to prevent skin breakdown. Proper positioning when ambulating or in a wheelchair, i.e., use of a sling for a weak upper extremity. Assess urination pattern and patterns of fluid intake. Assess ability to transfer to toilet or commode, or standing ability for a male. Assess for signs and symptoms of urinary tract infection; frequency, urgency, painful urination, fever, etc. (urinary tract infections are rare in ALS). Encourage daily fluid intake of 2,500cc’s per day unless contraindicated because of swallowing ability. Consult physician if there are signs of urinary tract infection. Assess bowel pattern (for constipation, diarrhea, impaction. Assess diet, fluid intake, and swallowing ability. Progressive decline of dietary fiber. Progressive inability of the trunk muscles to support a normal posture to assist in defecation. C. Management – ideally focused on preventative measures. Unlike a neurogenic bowel, person with ALS have slowed bowel motility. 1. Encourage patient to keep daily record of bowel movements (include consistency and amount), particularly if there has been change to a more constipated or less frequent stool. 2. Encourage daily fluid intake of 2,500cc’s per day unless contraindicated because of swallowing ability. 3. Provide dietary instruction regarding the importance of fiber, use of bran cereals, prune juices, etc., unless contraindicated because of swallowing ability. 4. Daily use of stool softeners and Metamucil are often recommended. Laxatives may be used, but chronic use may be harsh on the bowel. Mineral oil should not be used because of the danger of aspiration. 5. As mobility progresses and/or diet and fluid intake is altered, a more aggressive bowel program may be indicated, daily or every other day. 2. Laboratory Test – indicated if patient has lost ten percent or more of body weight in the last two months or weighs fifteen percent or more below “ideal body weight”. 3. Hydration status – determined by careful recording of fluid intake and output and by test of urine specific gravity. The average person needs 35cc fluid/kg body weight for adequate renal function. This figure can be used to calculate fluid requirements. a) Assess gag, cough and swallowing reflexes, and chewing. b) Assess patient’s ability to swallow liquids and solids. c) Knowledge deficit regarding alternatives for diet, food preparation, and alternative procedures for supplemental feeding. a) Discuss techniques for protecting airway, i.e., sitting up straight, putting chin on chest when swallowing, concentrating while eating. Avoid increased stimulation, i.e., talking at mealtime. b) Refer to dietician for determination of adequate nutritional intake with continued weight loss. a) Smaller, more frequent meals. b) Foods that are “easy-to-eat”, i.e., adjusted mechanical soft diet. c) Increased daily activity with non-fatiguing exercise. d) Liquid supplement between meals. 1. History: subjective symptoms (starving for air, shortness of breath and relation to position changes, fatigue). 2. Assess: changes from baseline respiratory rate, depth, pattern, chest expansion; adequacy of respiratory exchange and effort; retraction of intercostals spaces; abdominal breathing; diaphragmatic breathing; nasal flaring and use of cervical accessory muscles of respiration; color (cyanosis); cough, gag, and swallow reflexes. 3. Auscultate: decreased breath sounds, presence of extra or adventitious sounds (i.e., sales, wheezes). a) Aspiration secondary to impaired/absent gag, swallowing and cough/sneeze reflexes. b) Atelectasis secondary to impaired cough/sneeze reflexes and/or hypoventilation. a) Airway clearance and gas exchange. b) Considerations regarding mechanical life supports. a) Use of aspirator to suction secretions and prevent choking. b) Use of medications (i.e., Elvail – 25 mg t.i.d. or 25-75 mg. at hs to reduce secretions). c) If the patient has a tracheostomy, suctioning and “trach care” should be done prn to prevent buildup of secretions, possible obstruction and infection. a) Deep breathing and coughing exercises and use of incentive spirometer to encourage lung expansion. b) Chest physiotherapy: percussion, assisted cough and postural drainage when indicated. d) Elevation of the head of the bed with a foam wedge or hospital bed to ease shortness of breath and provide comfort during sleep. e) When air hunger is chronic and distressing, help monitor and titrate medications that will help provide comfort. 3. Provide information and opportunities to discuss options for mechanical ventilation. Generally, if there are early signs of dysphagia, dyspnea, or after the patient has had time to adjust to his diagnosis, the patient and family should be assisted in considering options regarding life support systems. The important thing to remember is the patient should be thinking about these decisions before he/she needs them. 4. Provide information and opportunity to discuss Physician’s Directive (also called Living Will or Durable Power of Attorney for Medical Care). The pros and cons of life support should be discussed in detail prior to the patient filling out a Physician’s Directive. 1. Assess volume and clarity of speech. 2. Assess ability to communicate needs to family/significant others. a) Altered volume of speech. b) Altered clarity of speech (dysarthia). 1. With dysarthia or with total loss of speech and no use of upper extremities. 2. There are a variety of alternative modes of communication. 3. Refer to a speech pathologist for evaluation and intervention. 1. Evaluate the patient and family’s support systems and coping patterns with awareness that with ongoing loss of independence, there will be ongoing grieving by patient and family. 2. Knowledge deficit regarding alternatives for mobility and comfort. 1. Provide an accepting environment in which the patient and family can share concerns and fears with each other and members of the health care team. 2. Help the patient and family anticipate care needs and implications. 3. Anticipate and support emotional responses to loss as a normal reaction, thus enabling the family to take in information and cope more effectively with practical decision-making. 4. Provide encouragement and anticipate unasked questions. 5. Encourage realistic expectations of the disease whenever possible. 6. Refer, if needed, to a counselor, psychiatrist, psychologist or psychiatric clinical nurse specialist. 7. Refer to an ALS support group if available. --Excepted from “Amyotrophic Lateral Sclerosis: A Teaching Manual for Health Professionals”, Nancy Konikow, R.N., M.N., ALS Health Support Services, Kirkland, Washington. Emotional response to diagnosis and prognosis (anxiety, fear, denial, anger). Active and passive ROM to affected limbs 3-4x per day. Turn and position every 2 hours. Wash skin and dry well after each bowel movement or urination (especially females). Air flotation or egg crate mattress to bed. Elastic stockings, if ordered, especially when patient out of bed. Accept behavior during stages of grieving process and allow grieving. Teach family about grieving process and encourage them to accept patient’s behavior and their own response. Use positive approach when discussing progress (ask what patient and family know about disease). Encourage to maintain independence for as long as possible and to do things for self when possible. Teach family to do the same. Have family plan same for at home. Discuss changes in body image and what they mean to patient. Encourage patient to talk about such with family. Encourage patient to focus on positive aspects of self and to share those aspects of self with others. Suction and maintain patient airway. Auscultate chest frequently to assess total airway states. Help patient to cough and deep breathe at least every two hours. May use incentive spirometer if necessary or chest physical therapy. Maintain on respirator if necessary. Assess gag reflex before giving fluid or food by mouth. Elevate HOB at mealtime and for ½ hour afterward. Soft, mechanical soft or pureed diet as needed. Consult dietician to teach basics of good nutrition and in-between meal snacks. Initiate use of a magic slate if patient able to use hands. Initiate use of word boards or letterboard if unable to use arms. May use electro-larynx like that used for laryngectomy patients. Consult speech therapy and OT for assistance and further assessment of speech needs and means for meeting these needs. Place urinal/bed pan where patient can reach if able to do so. Use effective means for patient to communicate when needs to urinate or have bowel movement. External cath may be useful at noc. Bowel routine as necessary for impaction; high fiber diet if patient can tolerate, Fleet enema, Colace, Metamucil, fluids, suppositories. 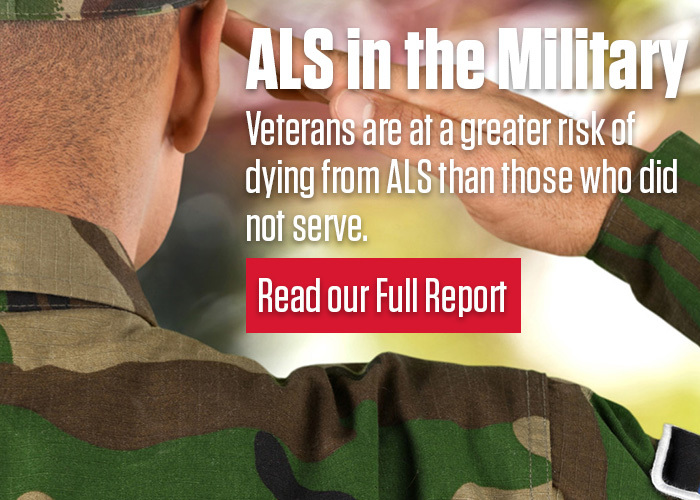 This material is the property of The ALS Association and may not be edited or excerpted.